CHARLOTTE, N.C. (AP) — Former CIA Director David Petraeus, whose career was destroyed by an extramarital affair with his biographer, was sentenced Thursday to two years’ probation and fined $100,000 for giving her classified material while she was working on the book. The sentencing came two months after he agreed to plead guilty to a federal misdemeanor count of unauthorized removal and retention of classified material. Petraeus attorney Jake Sussman said this was not a case about the public dissemination of classified information. He said it was about the wrongful removal of materials. But prosecutor James Melindres said, “This is a serious criminal offense. He was entrusted with the nation’s most classified secrets. The defendant betrayed that trust”. The agreement was filed in federal court in Charlotte, the city where Paula Broadwell, the general’s biographer and former lover, lives with her husband and children. The prospect of probation for Petraeus had been raised as an issue in an unrelated case by supporters of Jeffrey Sterling, a former CIA officer convicted of giving a New York Times reporter classified details of an operation to derail Iran’s nuclear ambitions. Federal prosecutors in Virginia have urged a stiff sentence for Sterling, and probation officers have calculated a sentencing guidelines range of 20 to 24 years. Supporters including Nobel Peace Prize laureate Archbishop Desmond Tutu argued that Sterling’s expected sentence would be out of line with the deal that Petraeus secured. The affair ruined the reputation of the retired four-star Army general who led U.S. forces in Iraq and Afghanistan. As part of his deal, Petraeus agreed not to contest the set of facts laid out by the government. 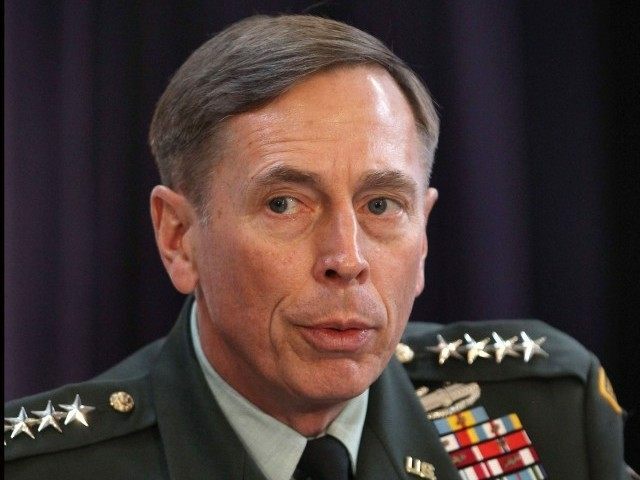 Among the secret information contained in the “black books” were the names of covert operatives, the coalition war strategy and notes about Petraeus’ discussions with President Barack Obama and the National Security Council, prosecutors said. Those binders were later seized by the FBI in an April 2013 search of Petraeus’ Arlington, Virginia, home, where he had kept them in the unlocked drawer of a desk in a ground-floor study. Petraeus admitted having an affair with Broadwell when he resigned as CIA director. Both have publicly apologized and said their romantic relationship began only after he had retired from the military. Broadwell’s admiring biography of him, “All In: The Education of David Petraeus,” came out in 2012, before the affair was exposed. Petraeus held the CIA post less than a year, not long enough to leave a significant mark on the spy agency. The core of his identity has been a military man. With a Ph.D. and a reputation as a thoughtful strategist, Petraeus was brought in by President George W. Bush to command multinational forces in Iraq in 2007, a period when the war began to turn in favor of the U.S.
Petraeus’ command coincided with the “surge” of American forces in Iraq and a plan to pay Sunni militias to fight al-Qaida in Iraq. With American help, the Sunni tribes were able to push out insurgents and enable U.S. troops to withdraw in 2011. Those same Sunni areas are now controlled by the Islamic State group, which evolved from the remnants of al-Qaida after Iraqi’s Shiite-led government proved weak.